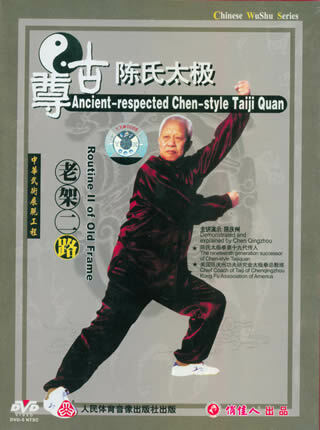 The Old Frame of Chen-style Taiji Quan is also called Big Frame. It was created by Chen Changxing, the 14th generation of the Chen family. As its style has fully retained the kung fu characteristics of the ancient Chen-style Taiji Quan, it is also called the Kung Fu Frame. The Routine II of Old Frame is also called Cannon Hammer, has special characteristics compared with the Routine I. This routine is compactly arranged, with complicated movements and considerable difficulty. The ultimate force demonstrated is also quite different. The routine focuses on movements of Cai (Pluck or Grasp), Lie (Split), Zhou (Elbow) and Kao (Shoulder) with the four main direction hand movements as auxiliary.